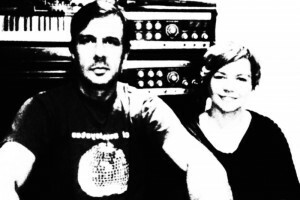 Out of Sydney, Australia, Telemetry Orchestra formed in the early ’90s as an electronic 3-piece. Part of the original Clan Analogue Collective, they have evolved into their current form through the exploration of organic and electronic sounds, fusing them with influences of psychedelia, folk and pop sensibilities. Previous releases have garnered critical acclaim, widespread national airplay and use in television and numerous feature films. The current Telemetry Orchestra line-up sees Charlotte Whittingham and Gavin Angus-Leppan both writing, playing and sharing vocal duties. We bonded over My Bloody Valentine, Kraftwerk and a Jaques Tati movie soundtrack played through a delay effect. Take rich lush textures, crusty nostalgia, aged synths and cheesy samples. Mix them lovingly. Add sweet and sour melodies and a dash of melancholy. Technology meltdown at the Sydney Opera House in front of seated and expectant audience. Excruciating!! Space sounds, electronica, psychedelia, soundtracks, vintage sounds and folk. With our last E.P. we wanted to try to create an homage to our earliest influences and experiment with the art of arrangement. We try to keep it sounding fresh – that is half the fun. Working on a soundtrack for a cool “art” feature film has always had some appeal.